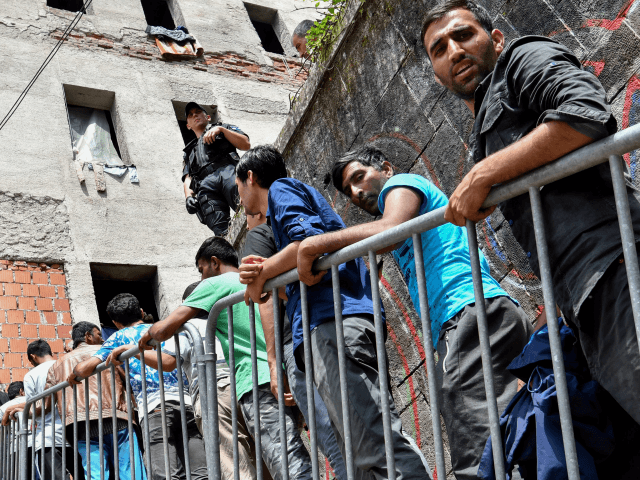 More and more migrants Mohammedans have been surging across the border into Bosnia in recent months, hoping to cross into European Union via Croatia. The influx may be fueling prior tensions between ethnic and religious groups in the country. The Bosnian town of Bihac and the nearby village of Izačić have become a hub for newly arriving migrants, with an estimated 4,000 currently living in the town which boasts a population of only 60,000, Liberation reports. Around 50 migrants arrive in the area every day, according to reports and NGOs, and others say they are not fully equipped to deal with the numbers and that tensions are rising among the migrants. The Turks are a nasty piece of work. Erdogan adds fuel to the fire. 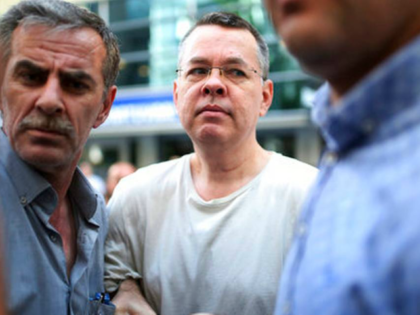 A Turkish court on Tuesday ruled against American pastor Andrew Brunson’s appeal to be released from house arrest. The Israeli military says it targeted and killed seven “armed terror operatives” who had crossed into Israeli territory in the southern Golan Heights. Give them a state! Give them autonomy, money, sharia law! President Rodrigo Duterte of the Philippines has signed a landmark law aimed at giving expanded autonomy to Muslims in the south of the country, his spokesman said on Thursday, with the legislation expected to bring some measure of peace to a region choked by four decades of separatist violence. The Islamic State (ISIS) claimed responsibility for a van explosion early Tuesday morning at a military checkpoint in the Southern Philippines that killed 11 people, an army spokesperson confirmed. 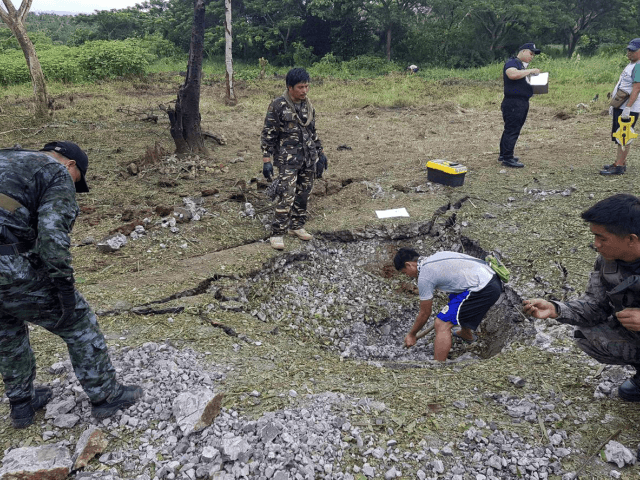 Philippines Army Lieutenant Colonel Jonas Templo confirmed that the detonation took place in the early hours of Tuesday morning in Basilan, the island stronghold of Islamist group Abu Sayyaf. The Philippine military said on Thursday it has arrested a Muslim cleric who knew about the bomb going off…. This view was corroborated by Lt. Col. Mon Aldomovar, commander of the Third Scout Ranger Battalion in the area, who said that the local caliphate of Abu Sayyaf organized the attack. “Abu Sayyaf are responsible for this incident,” he said of the group founded in the 1990s, which has since brought havoc to the region through a series of bombings and kidnappings. Last year, multiple soldiers died trying to prevent the beheading of German sailor Jurgen Kanter. Aldmovar indicated the explosion might have been premature. 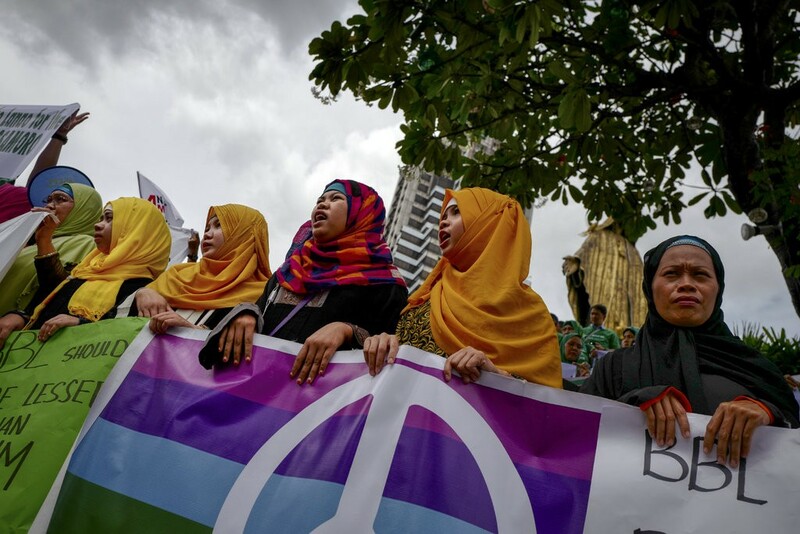 The attack came just days after President Rodrigo Duterte approved the Bangsamoro Organic Law (BOL) that provides greater autonomy for majority-Muslim areas of Mindanao. While working with Muslim groups in the region, Duterte has repeatedly refused to negotiate with Abu Sayyaf and vowed to eradicate them. Islamic terrorism still remains a major problem in the Philippines and other countries across the region, with multiple attacks taking place over the past decade. 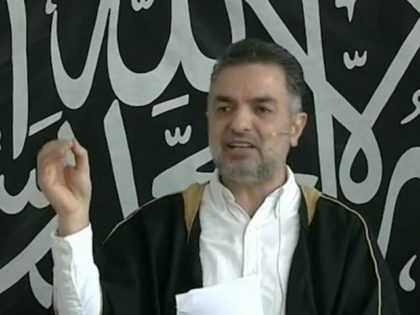 Some analysts fear the country’s Islamic regions could become a future jihadi stronghold. Last year, Duterte expressed frustration with his success in reducing the threat of the Islamic State and threatened to “carpet” bomb the country’s only officially Islamic city if it meant keeping soldiers safe. Get them all in one place then nuke them.